The future gets closer every day: a high-tech workforce with jobs that don’t exist yet; social challenges that will require adept, innovative and truly creative solutions; and a growing demand for STEM skills across every sector. Our kids need to be ready. 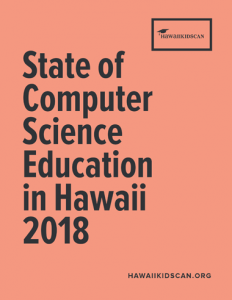 That’s why HawaiiKidsCAN has made computer science a campaign priority, and it’s why I’m proud to share our latest research report, State of Computer Science Education in Hawaii 2018: a snapshot of where we stand and where we need to go to best prepare our keiki for the world of tomorrow. Did you know that median wages for computer and math jobs in Hawaii are nearly twice that of all other jobs? That just 14 traditional public schools offer AP Computer Science? 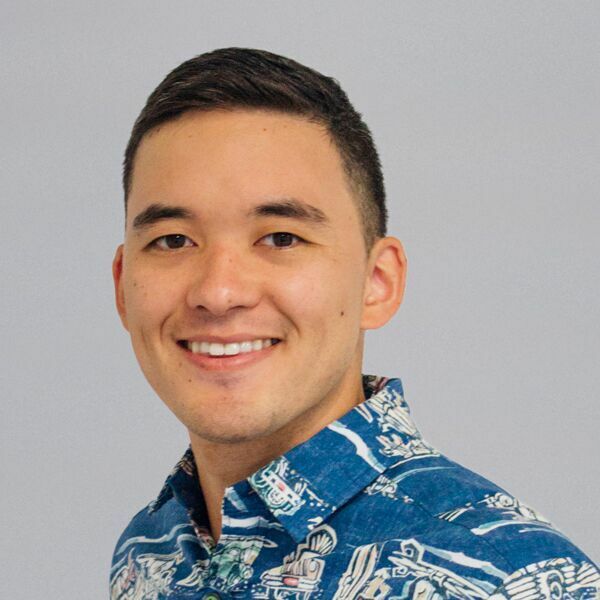 Or that some high schoolers from Leilehua and Waipahu are learning computer science on the job already, through work studies with the National Security Agency? Our report combines easy-to-access research with viable policy recommendations for the state, designed to close the income-, gender- and ethnicity-based gaps across the STEM workforce. The facts reveal that these gaps begin in the classroom, with inequitable access to computer science education—and that we can’t afford for them to persist. I hope this research will leave you informed and inspired to advocate for commonsense solutions that empower our kids, and transform the future of the state we call home.